Gluten-free is a booming business. Over half a billion dollars get forked over each year to supermarket clerks and bakers for the coveted “GF” flours, pastas and breads. The point is to prevent agony and malnutrition (celiac disease), mild discomfort (gluten intolerance), weight gain (dieters) or hyperactivity (moms of kids with autism or ADHD). However, as some bloggers and writers have rightly noted, many people test negative for antibodies against wheat, yet feel significantly better when they don’t consume it. Other people can’t figure out why they can eat pasta in Rome but not in New York City. There may be an answer … Roundup. 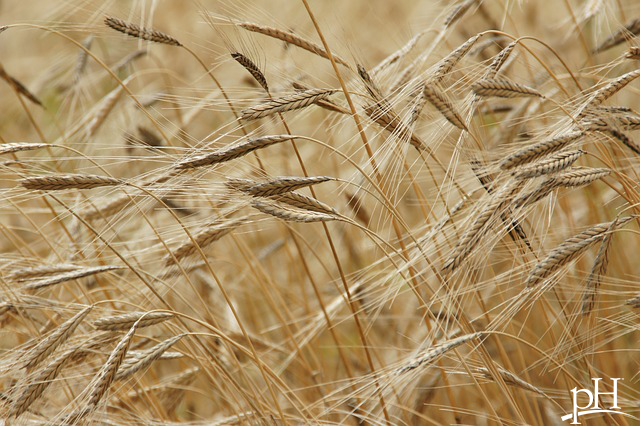 Roundup is a weed killer that farmers apply to wheat to accelerate the time to harvest. Roundup is not allowed in barley meant for beer, but there is no such restriction on wheat. Glyphosate, the active ingredient in Roundup, is an eye and lung irritant and, even in small doses, causes gastrointestinal upset. This is particularly interesting, because even the most expert label-reader will not always be able to detect whether wheat has been treated with this herbicide or not. Dr. Stephanie Seneff, MIT researcher, has been investigating the issue. She and many others have focused on glyphosate, which can attack the small intestine, robbing its ability to absorb food well. Monsanto, the maker of Roundup, argues that human guts have “protective linings” that prevent the kind of cell damage you see in the lab. But keep in mind those protective linings are made of cells too. A group of Korean ER doctors reviewed the suicide attempts of 153 people who took glyphosate at high doses, and found that it interferes with the natural conduction patterns of the heart. It gets murkier. As detailed in the Scientific American, even the “inert” ingredients in Roundup – meaning the solvents, preservatives, surfactants and other substances added to the pesticides – are toxic to human cells. So far, Dr. Seneff’s position that Roundup may be the true cause of wheat intolerance is the only one publicly noted by a scientist. But science will have to pay more attention to her intriguing arguments, including that the same amino acid deficiencies in celiac disease also show up in people exposed to too much glyphosate. In the meantime, choosing organic wheat is a great option, and an interesting experiment if you have experienced wheat indigestion despite a negative celiac testing. If you have to eat conventional wheat, keep up with your probiotics because glyphosate disrupts the natural gut bacteria population. Be proactive. Food allergy testing is always available at Proactive Health Labs, and we can assess you for true gluten intolerance as well.